View More In Janitorial & Sanitation Supplies. Get your hard floors cleaner than you could have ever imagined! 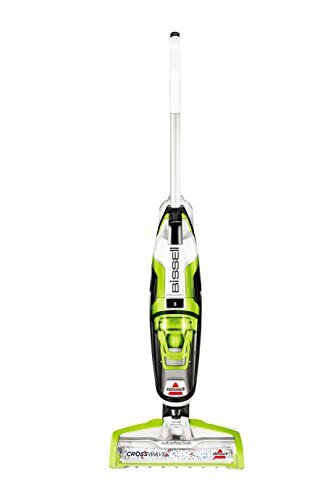 The Bissell CrossWave is a revolutionary, all-in-one, multi-surface cleaning system that vacuums and washes floors at the same time. With a dual-action brush roll rotating at 3,500 RPM and an innovative multi-surface cleaning solution, the CrossWave cleans better than a sponge mop and bucket, in less time. Plus, with the touch of a button, you can seamlessly switch from cleaning hard floors to vacuuming and washing your area rugs. All with one machine. If you have any questions about this product by Bissell, contact us by completing and submitting the form below. If you are looking for a specif part number, please include it with your message.